Danny Todd was born, lived and died in Coleraine, in Northern Ireland. A self-taught artist, his entry into the art world came via lithographic printing and sign writing, where he developed a keen eye for colour and for the subtle contrasts of light and shade which became signature elements in his work. 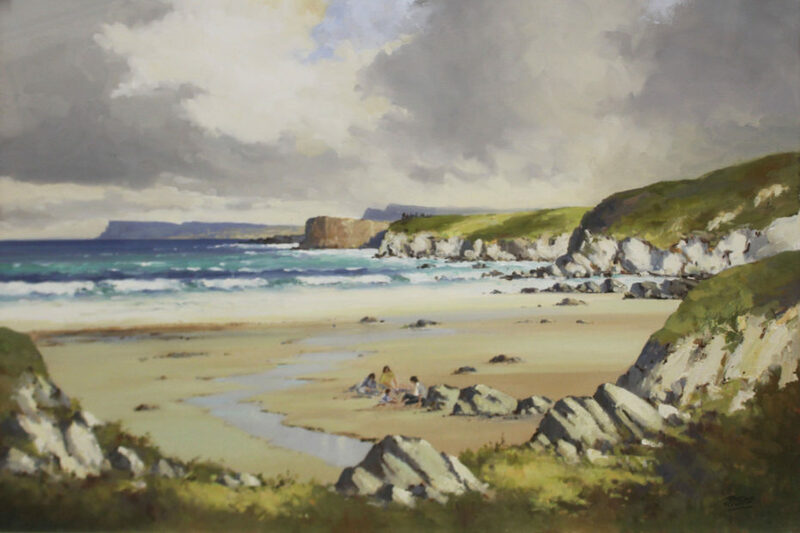 Initially influenced by the great Irish landscape artists including Maurice Wilks, Frank McKelvey, James Humbert Craig and Arthur Twells, Danny Todd established a reputation for high quality paintings in oil on canvas specializing in local landscapes often painted to commission. Danny’s range of fine art prints published by King and McGaw found an international audience and many are still available.